December 19, 2014: The setup for Darlene Love's performance today took about 20 minutes. Here's a web-exclusive treat: Paul Shaffer and the CBSO play The Righteous Brothers' "You've Lost That Lovin' Feelin'. (video) It's awesome! December 19, 2014: Do not miss this interview with Jay Thomas about the stars coming together to create his two awesome traditions: The Late Show Quarterback Challenge and Jay's Lone Ranger story!! December 19, 2014: The Late Show edited pieces of Darlene Love with "Christmas (Baby, Please Come Home)" from four decades, to preview her performance on Dec. 19... the last time she will perform this song on a talk show, and the 21st time she performed it on Dave's late night shows. To see complete performances from past years, look under the Ds in my Video Archives. December 11, 2014: Here's a very impressive compilation from your pals at slate.com: Top 10 Things to Love About Letterman's Top Ten Lists. The Slate staff looked for patterns and themes in over 41,000 Top Ten entries. On November 6, I was contacted by them, in hopes of videos of Top Tens which made fun of Regis. I didn't have all of them on the spreadsheet they sent, but I was able to make 12, to add to ones they'd already found in my Video Archives. If you'd like to see the complete set of Top Ten videos I made for them, look here. They were nice enough to credit me at the end of their compilation video, "Regis in the Top Ten." It's really well done. Be sure to have a look. December 10, 2014: Here's a compilation of the 10 Best Country Performances on the Late Show. I don't like much country at all, but Taylor Swift's "Love Story" (done on a Live on Letterman) and Billy Currington's "People Are Crazy" are two great choices. December 8, 2014: The Letterman Memories, a.k.a. @ByeLetterman people scored an interview with Gerard Mulligan. You may be excused from this site to go read it. I recommend it. December 6, 2014: Dave tells TMZ Colbert's first guest should be Vladimir Putin! (video) Also, there was this related story in Variety. November 4, 2014: Letterman Memories, a.k.a. @ByeLetterman, has a nice (and increasing) collection of links to videos from Dave's 32 years in late night television. This is becoming better every day. 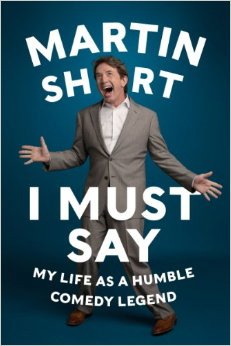 November 4, 2014: The great friend of the Late Show, Martin Short, has released a memoir, I Must Say: My Life As a Humble Comedy Legend. It's hilarious. (As with everything I plug on this site, it's because I want to, and I'm not getting a piece of the action!) Here's video of his Nov. 3 appearance and musical number. October 24, 2014: TV's Alan Kalter has a 17-minute interview with WGN Radio on 10/22/14. Its title is "Behind the scenes of Late Show with David Letterman." Alan makes the Late Show better every day, and his segments are always comedy gold. 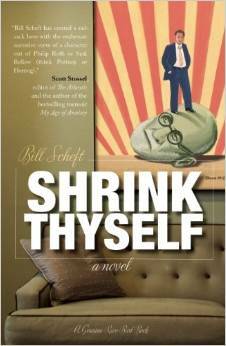 June 17, 2014: Have you read the enthusiastic reviews of Bill Scheft's book? What are you waiting for? June 2, 2014: Alan Kalter is doing the audience warm-up now. The unananimous opinion among my DaveCon friends was he blew the roof off the dump! We absolutely loved his warm-up performance. It's worth a trip to the Late Show, in and of itself. I can't overstate how awesome it was. April 10, 2014: "This man has influenced every host who came after him, and even a few who came before him. He's that good! And I've gotta tell you, I do not envy whoever they try to put in that chair." April 3, 2014: Not good. David Letterman says he's retiring. Here's my video of the entire desk chat. This is a sad day, that I thought wouldn't come for three or four years. I can't imagine what it will be like without the show, as I've spent over 7,000 hours watching (NBC + CBS). That's 42 weeks of Letterman. Now what? I'll be a wreck when it's all over. February 15, 2014: Cue card guy Todd Seda, as Todd the Intern, did a great job with "Biff duty" at the Super Bowl media day (video) and game (video). Here are links to Todd's pics, tweeted from @LateShow: Winston Justice, Seahawks & Broncos fans, Broadway Joe Namath, Seahawks mascot and on the field. February 1, 2014: Steve Young's Everything's Coming Up Profits was reviewed by The New York Times on Jan. 29.